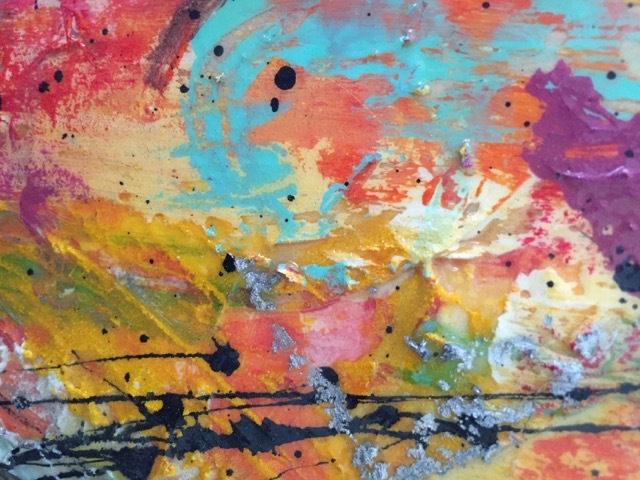 Colorful, abstract, textures and paintings. Discover my art....... the pages of my gallery will introduce ideas and colors meant for the modern setting. Multi-media including paper, cardboard and layers of color blend together to create pieces of art that you can talk about. What do you see? What was I thinking? How different could it be in various colors? Dominantly I work as a commissioned artist but keep fun things in process all the time that I can share with you. Contact me with any inquiries. Enjoy.